The original Widow. Resulting from a mysterious cross, Black widow packs a serious bite. A hybrid from the tropics of South America and India. “White widow’s evil sister” lives up to its legacy being extremely high in THC (21%) with a heavy resin production, giving this strain its slightly cobwebbed look. The hybrid genes give you the best of sativa’s cerebral uplifting power and indica’s relaxing body high. Black widow can be used both day and night time, although usually preferred in the evening due to its heavy high and sedating effects. 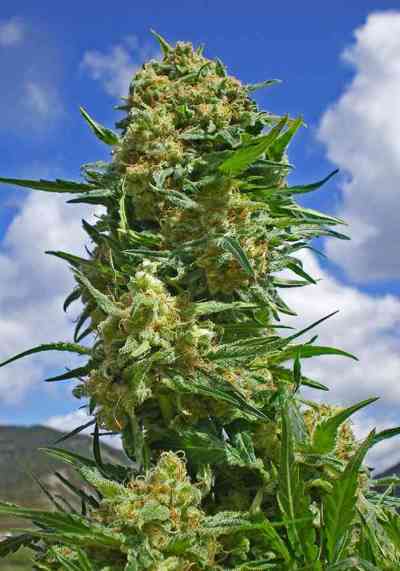 The plant has a robust and compact appearance with expected yields Indoors of 350 - 450g/m2 and outdoors 300 - 400 g/plant. It is naturally resistant to molds, mildew, and pests, making it an ideal choice for amateur growers. Reaching no more than 1m height indoors and 1.5 -2m outdoors. 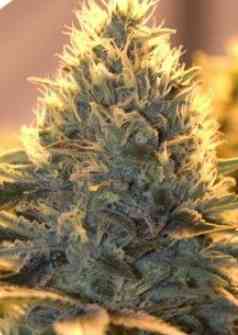 Flowering time is usually 10 weeks preferring low humidity during the later stages of flowering. Novice users should approach with caution, as its name suggests, black widow can bite if not revered. Aroma: An earthy, nutty and pine like aroma with a fruity and spicy undertone.